The first expansion for Destiny 2 just dropped, promising new locations to explore, increased player levels and exciting new adventures. Curse of Osiris introduces us to the enigmatic, infamous Osiris — mentor to Ikora and one of the most powerful warlocks ever known, with a rebellious streak that forced him out of the City long ago — now struggling to take down a terrifying new Vex threat. This article contains spoilers. Proceed at your own risk. We’ll start with the main facts: Curse of Osiris raises the player level cap from 20 to 25, as well as raising the soft power cap from 300 to 330. A slew of new weapons and armor sets have been introduced, as well as the ability to use shaders on exotics; many legendary items have also now gained alternative looks unlockable by completing challenges such as completing enough milestones, or doing enough activities while representing a particular faction. Beyond that, how fares the story? 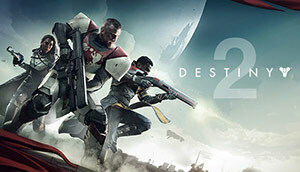 Well, players coming from other major games may get confused by the term “expansion” as it is used within Destiny, where expansions tend to be more like extensions — raising caps here, a few new items there, and a smattering of additional content, but nothing like the likes seen in major MMOs where expansions can add hundreds of hours of additional play time. Indeed, the campaign for Curse of Osiris is over in just a few hours, and while the campaign itself isn’t bad, it isn’t particularly exciting either; it almost feels rushed. The story tries to make it seem like working together with Ikora is an amazing, “oh NO this could be the end of the world” event (it’s not), introduces an apparently-almighty new adversary who turns out to be just another trivial boss fight in the end, and even the eponymous Osiris — a defiant, stubborn and extremely powerful warlock — turns out to be a pleasant, completely unthreatening old man. Beyond the short campaign, there’s very little new content to get on with; new planet Mercury turns out to be just a very small area with a few treasure chests to loot and one solitary new public event. Adventures on the red planet send you through the Infinite Forest, a place that simulates other timelines and realities, but they’re underwhelming. The story tries its best to make the Infinite Forest seem awe-inspiring — being able to recreate any place, anytime, is admittedly great — but this is vastly underutilised. I’d love to have seen adventures that revisit past story events in alternative timelines, especially callbacks to the original Destiny. 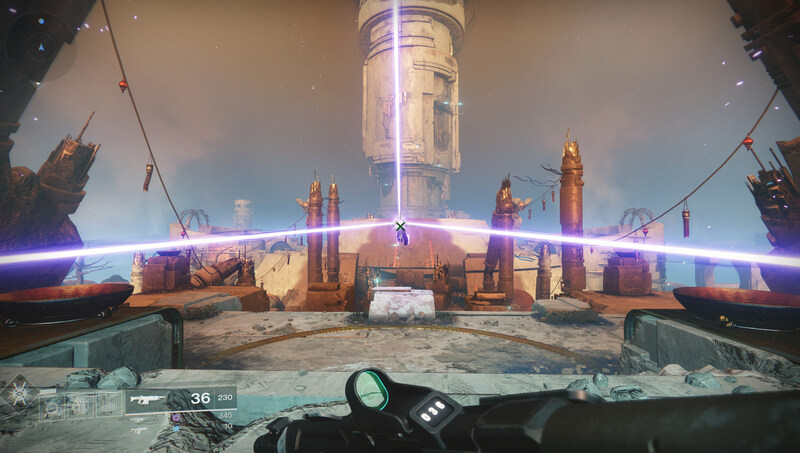 Let’s hope the new raid, once launched, brings a little more fun to the table. Destiny 2‘s debut raid, aboard the Red Legion craft Leviathan, offered plenty of fun mechanics and memorable fights; we’ll see if the Eater of Worlds manages to keep the pace.